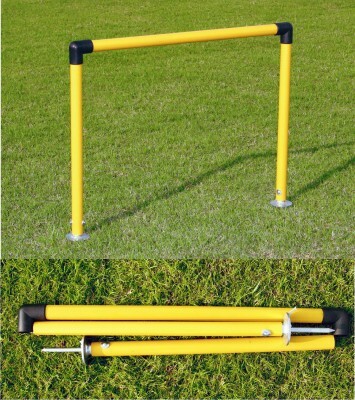 These 25 mm training arcs are an ideal product for improving football passing / shooting. Arcs are fitted with 8 mm galvanized steel spikes. 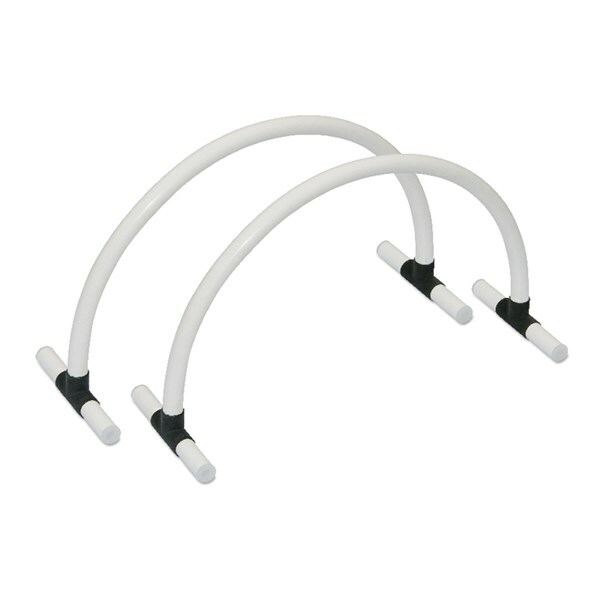 An elastic cord is connected inside the arcs so that after folding all the parts will stay together, minimizing the chances of misplacing the parts. FPA-25 ...... ...... 1 pc. FPA-25S10 ...... ...... Set of 10 pcs. 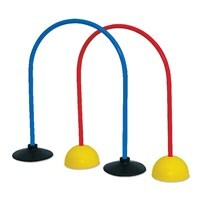 FPA-25S5 ...... ...... Set of 5 pcs. 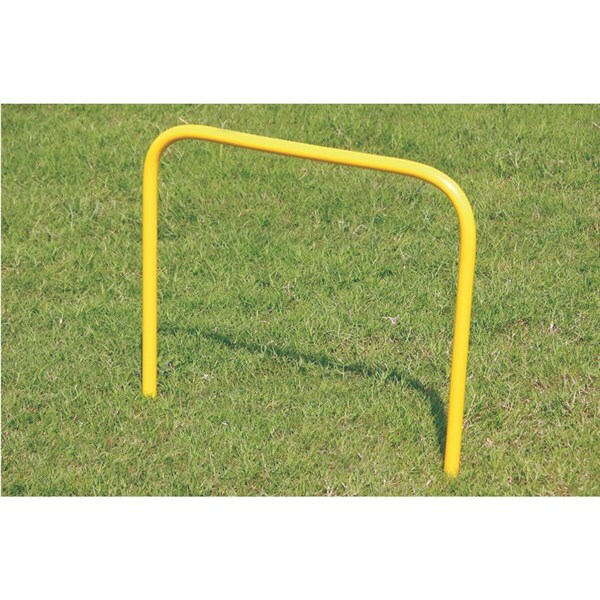 These 15 mm training arcs are an ideal product for improving football passing / shooting. Arcs come with aluminium spikes, which can be inserted in the arcs when in use and can be taken out when not in use. FPA-15 ...... ...... 1 pc. FPA-15S5 ...... ...... Set of 5 pcs. FPA-15S10 ...... ...... Set of 10 pcs. 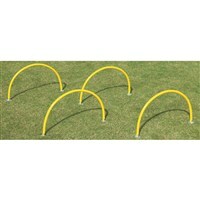 These 19 mm SEP (Plastic) arcs are an ideal training equipment for improving football passing & shooting. Arcs are fitted with galvanized 8 mm steel spikes at both the ends. Height : 13" & Width : 20"
FPA-1320 ...... ...... Each pc. FPA-1320S5 ...... ...... Set of 5 pcs. FPA-1320S10 ...... ...... Set of 10 pcs. 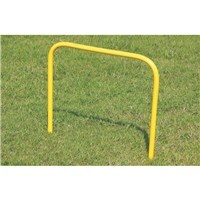 These 25 mm tube arcs are an ideal training equipment for improving football passing & shooting. It can be used both indoors and outdoors. 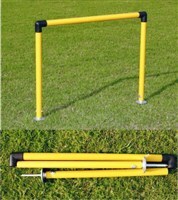 Height: 13" & Width: 20"
FPA-S1320 ...... ...... Each pc. FPA-S1320S6 ...... ...... Set of 6 pcs. FPA-S1320S12 ...... ...... Set of 12 pcs. FPA-PIO7055 ...... ...... 1 pc. with plastic dome base. FPA-PIO7055S6 ...... ...... Set of 6 pcs. with plastic dome base. 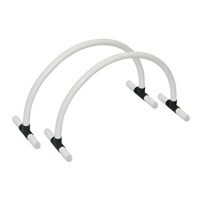 FPA-RIO7055 ...... ...... 1 pc. with rubber base. 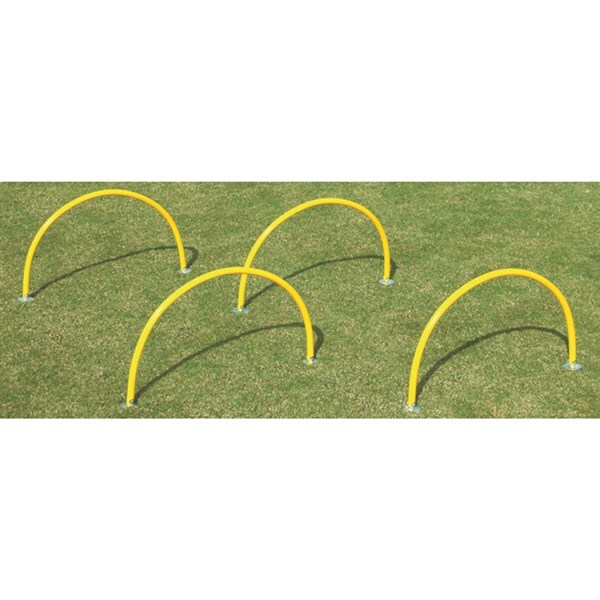 FPA-RIO7055S6 ...... ...... Set of 6 pcs. with rubber base.